Cheryl is a Registered Dietitian with an entrepreneurial spirit. Her MBA has helped her build a private practice where she runs interactive nutrition workshops, one-on-one counseling and writes a regular blog when she’s not managing her family of four. Dietitians know that nutrition doesn’t have a simple definition, however, everyone else may not. I took the time to interview Cheryl to discuss what healthy and the terms that surround it mean to her. I’d say pasta. I like chocolate too, but I’ll say pasta because there’s a perception that chocolate might be healthy but pasta isn’t. I think it’s fine to have pasta with a meal if you keep the portion size reasonable and pair it with a protein and a pile of vegetables. I’m never going to stop eating pasta, it’s delicious. I agree with you, Cheryl. It seems that people forget that whole wheat pasta is a very affordable source of iron, fiber and protein. What’s the biggest barrier to healthy eating for the North American population? I think that the time, stress and sleep problems are underappreciated as barriers. But we can’t forget about the current food environment. 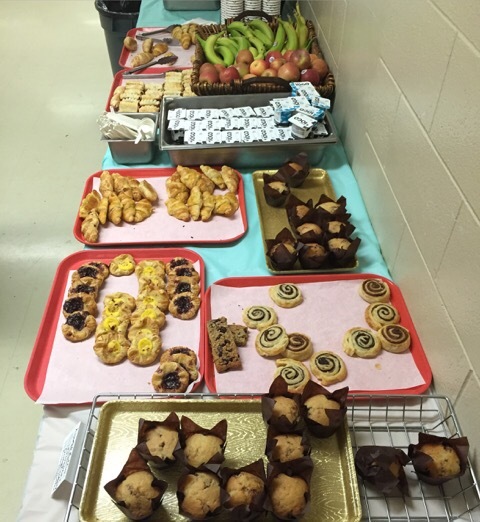 I spoke at workplace wellness event recently where the breakfast table was dominated by a generous selection of pastries, with green bananas and sugary yogurt off to the side. No whole grains, no proteins. Unfortunately, this is the norm rather than the exception. What would you like to see the government focusing on for public health? Many people may not be aware that the Trans fat and Sodium Task Forces made excellent recommendations some years ago, but they haven’t been implemented, except as voluntary measures, which aren’t very effective. My hope is that the new government will be more amenable to regulating some of these recommendations. And there is also food security, I’d love to see something done to lower the cost of fruits and vegetables. Do you think one person can lead to a change in public health policy? It seems like the answer should be yes but no, I don’t think so. We have a very powerful food lobby linked with the federal government, it’s too strong. We need concerted action to create change and we’d need to work together with organizations like Hypertension Canada and the Canadian Obesity Network. Who is your favorite person to cook with? My five-year-old. She is the epicenter of joy but she makes big messes. If you were going to be stuck on an island for months and you could bring an unlimited supply of four foods, what would they be? I know I’d bring peanut butter because it doesn’t have to be refrigerated and I never travel without it. I’d take whole wheat bread for sandwiches and some bananas. Lastly, I should bring spinach for some greens too. I’ll be cooking fresh fish that I caught and I can cook my spinach and freshly picked fruit with it. If you could tell the everyone a single message about nutrition what would it be? I think most people know the basics like “eat more vegetables” but they often complicate things by trying to be gluten free, non-GMO, organic [etcetera] when they really need to focus on the basics first. I’m proud to say I have no idea what she says. I don’t have time for that silliness. Have you ever tried a raw oyster? No. I’m not that adventurous. What’s your biggest pet peeve related to nutrition? Pseudo nutrition experts that tell people contradictory and inappropriate things. Anything really extreme that is only meant to be done for a short time. Non sustainable changes cause weight cycling- yoyo dieting. If I had to choose one to be my nemesis I’d choose the juice cleanse fad. It’s expensive and a typical bottle of juice from a cleanse has 20-40 grams of sugar- that’s exceeding the recommended daily sugar limit in just one bottle! If you could have any breakfast in the world what would it be? I’d go to a great breakfast buffet because I can’t decide. I could have a little of all of my favorite breakfast foods like huevos rancheros, breakfast burritos, and waffles. Buffets can be a recipe for overeating but I like to just have a little bit of everything and then add fruit. What is your everyday breakfast? Plain traditional No Name brand oats. They’re an easy comfort food in the morning for me. I cook them in soy milk and add hemp hearts, peanut butter or nuts to increase the protein content and then I add some fruit. No. I love how my job gives me an excuse to try new things all the time. Go visit Cheryl’s website at http://sweetspotnutrition.ca/. She’s also active on instagram, facebook, and twitter. Next Post What’s the Difference Between Grocery Shopping in Ethiopia and Canada? Lemlem tells all in the Pharmacy.